Despite the increased gold exploration activity, Beatty officials said that tourism remains the main economic engine of the town. 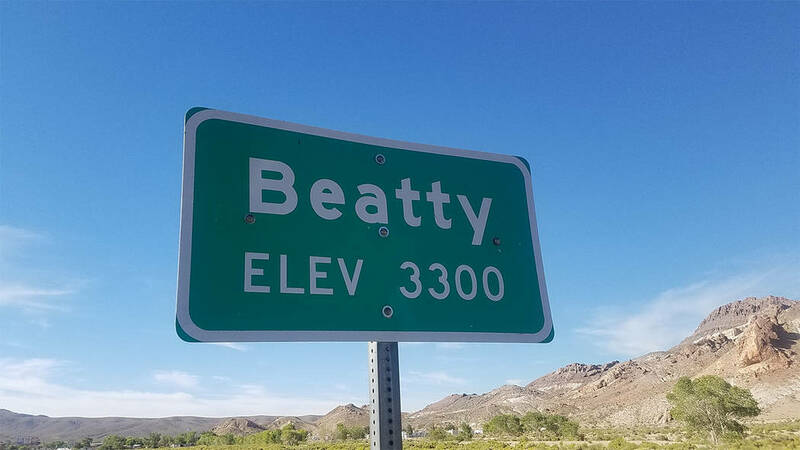 David Jacobs/Pahrump Valley Times Erika Gerling, Beatty treasurer, said that many jobs in Beatty are service-related. Erika Gerling, Beatty treasurer, said that many jobs in Beatty are service-related. Still, the town’s officials maintain good relationships with the companies that conduct gold exploration in the Beatty region, Gerling said. Corvus Gold reports to Beatty officials on their activity regularly, Gerling said. Other companies are just starting to introduce themselves. “We are an advisory board, all this permitting and all this kind of stuff is outside of our purview. But we try to stay in the loop and develop relationships with these companies because it’s our town, our resources. We want to have a good relationship and (make) it be mutually beneficial where we can,” Gerling said. One of the companies, AngloGold Ashanti has recently commenced exploration activities in the region. Chris Nthite, a spokesman for AngloGold Ashanti, said that during late 2017 and 2018, the company undertook drilling and surface exploration work programs on the Silicon Project and reconnaissance surface work programs in the broader district. The company plans to complete additional exploration work through 2019. The Silicon Project is near Corvus Gold’s North Bullfrog and Mother Lode projects, and the Sterling mine, which was recently acquired by Coeur Mining from Northern Empire Resources, according to the press release. “AngloGold’s work is still very early stage exploration work. To consider applying for mining permits a discovery would first need to be made,” Nthite said in an email. “If a potentially mineable discovery was made, then there would be several years of progressively more detailed exploration and feasibility study work as well as environmental permitting that would be required before AngloGold would be in the position to apply for mining permits. It is a long, thorough process to move from discovery to reach the point where the company would apply for a mining permit. And while most companies are still in the exploration phase, Beatty is focusing on recreational tourism instead to boost its economy, Gerling said.